What five summers on a trap net boat taught me about work, heritage, and the future of an industry. This week, Pacific Standard looks at the global seafood industry — how it’s responding to class, consumer trends, and a new climate. The beauty of Lorain, Ohio, is striking, but residual. In decades past, it was common to see a 1,000-foot freighter, laden with 20,000 tons of iron ore, plying the close chop of Lake Erie and bound for the Port of Lorain. In the mid-1960s, when the town enjoyed its pinnacle of economic success, a deckhand on one such ship (residents of the Great Lakes region still call them “boats” despite their massive size) would have approached Lorain along the deep channel from the northwest. As he rounded the Lorain light in the gathering dawn, already he would notice the harbor stirring, gulls floating stationary against the winds that whip the peak of the lighthouse. If his eyes are sharp, he might pick out the face of a duck hunter in one of the corrugated-iron blinds that litter the east break wall, a spread of hand-carved decoys bobbing solemnly in the freighter’s wake. Steaming up the breakwater toward the mouth of the Black River, our deckhand might see the fleet of Interlake dinghies floating at moorings off Harmon’s beach awaiting the Sunday races; or the early-morning bait casters are already posted along the pier behind the power plant, the turbines of which churn out warm water that makes for the best cat-fishing hole for miles. The narrow river barely accommodates the freighter’s 100-foot beam as it squeezes between the Coast Guard station and the Baltimore & Ohio coal docks, where gravity-propelled hoopers rattle at breakneck speed along their roller-coaster track. The bascule bridge is already open to accept the ship’s 75-foot-tall superstructure; off the port-bow lie the dry docks of the American Ship Building Company. Here is where the keels of ocean-going ships have been laid, destined for the Welland Canal, Lake Ontario, the Saint Lawrence Sea Way, and finally the open seas. The east bank of the Black River also accommodates more modest ship-building enterprises, and perhaps at this hour Bob Kromer is already in his shop, hewing a pine spar or caulking the chines of a Comet-class racing hull. When our deckhand’s ship clears the curtain bridge and the sun breaks the horizon over the lake, the massive structure of the Hullet iron-ore unloaders — 96 feet tall and able to lift 20 tons of ore from a ship’s hold in a single scoop — will loom into view: At dawn, the river is now truly alive. The gulls are screaming. The screech of fire as it cuts through metal resounds from the shipyard, and plumes of noxious smoke issue from the steel mill upriver. The air reeks of sulfur and diesel fuel. At this noisy hour, the only corner of quiet is the little green fish house, nestled diminutively between heaps of lime, salt, and slag. But the trap netters are not at home in their bunks. 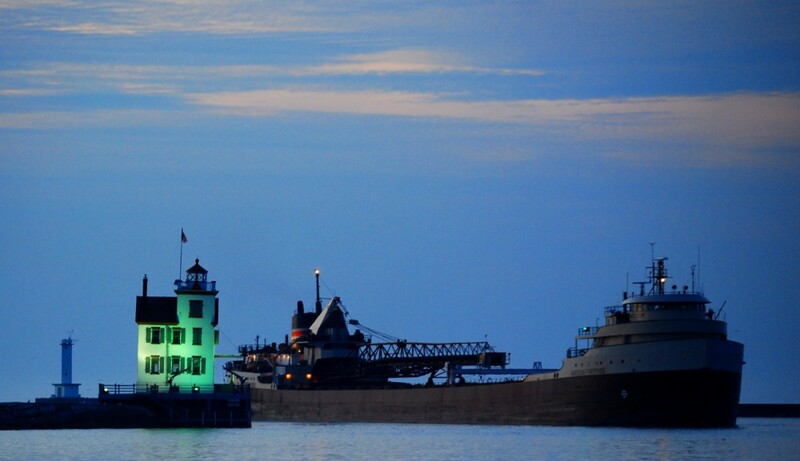 By the time our freighter makes the Lorain light, the fish tugs are 15 miles out on the lake, lifting their first net. 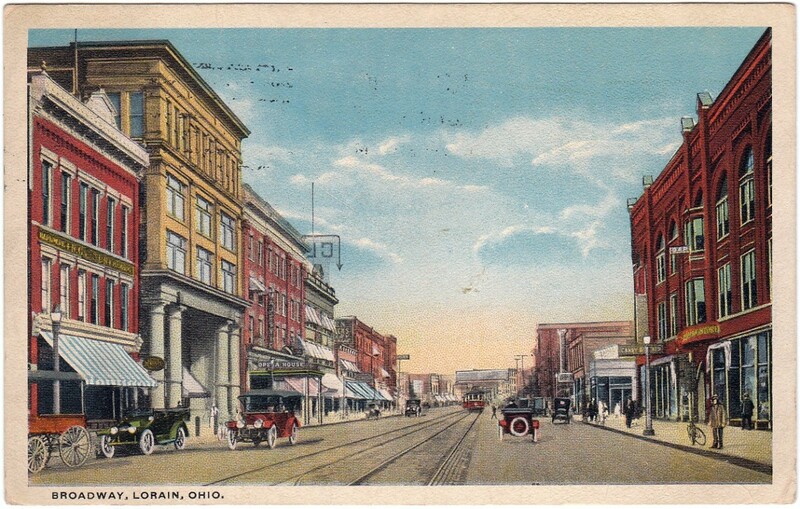 Such was Lorain in its heyday. Today the lake freighters rarely call on the Port of Lorain, nor do they often steam into Sandusky, Huron, Ashtabula, or even Toledo or Cleveland. In Lorain today, the lighthouse pitches violently to the northeast on a sinking foundation, its 1,000-watt lantern and fresnel lens sold across the lake to a Canadian museum. Occasionally you can still find a piece of coal on the old B&O docks, and, while the furnaces still glow at the steel mill, it is at a mere one-quarter of its production capacity. The shipyard succumbed to a series of fires and labor disputes in 1984, and condominiums have now replaced it entirely. The only vestige of what came before is a rusted dry-dock gate, half sunk off the riverbank, a heron often perched on top. And there’s the little green fish house, where still, in the early mornings from May to October, men load ice onto the decks of steel fish tugs in the absolute silence of 4 a.m.
For anyone interested in the economic health of the United States, the remaining commercial fishery should be cherished as a rare residual manifestation of 20th-century American ingenuity and will. If commercial fishing is to have a future on Lake Erie, it will be in a significantly smaller capacity than it was mid-century, circumscribed by stringent governmental regulations compliance that will cost some netters prohibitive money and time. In the middle of the 20th century, there were hundreds of commercial fishing outfits operating in Ohio waters. Today, that number is roughly a dozen. 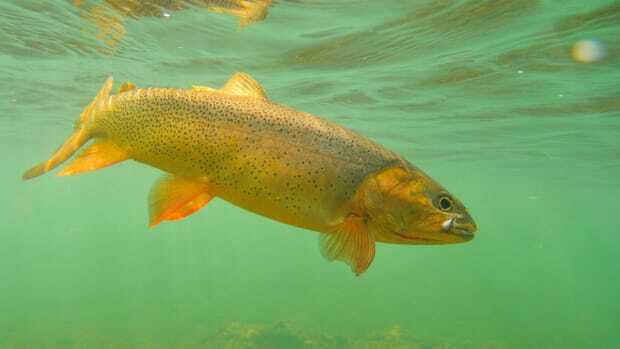 The decline of the industry can be traced to 1970, when hysteria about the quantities of mercury in fish from Lake Erie obliged the state government to put the entire fishery on hiatus for two seasons. With their source of income suddenly closed, many fishermen were forced to find alternative employment in factories and assembly lines, while their tugs sat on blocks and their nets were stacked away in twine houses. But when the prohibition was lifted in the spring of 1972, the re-introduction of commercial fishing on the lake came with a slew of new restrictions. Changes to the minimum mesh diameter of trap and gill nets rendered entire stocks of equipment obsolete, and weaving all-new nets meant months of work and thousands of dollars. Many fishermen never returned to the lake. But for those with the time, the capital, and the will to adapt, the greatest blow was the re-categorization of walleye (or “pickerel,” as commercial fishermen call them) as a sport fish, illegal for commercial harvest. 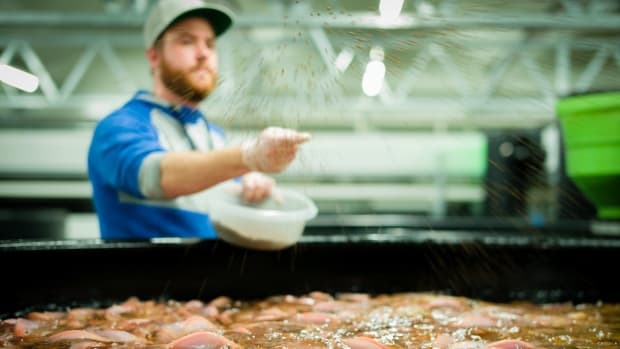 With the moratorium on commercial walleye, fishermen were forced to rely on lesser species, including sheep’s head, catfish, and white bass (colloquially referred to as “junk” or “trash fish”), all of which yield significantly less money per pound than walleye. It took many years to design nets that effectively caught yellow perch, the species upon which the fishery relies today, in any significant quantity. For anyone interested in the economic health of the United States, the remaining fishery should be cherished as a rare residual manifestation of 20th-century American ingenuity and will. The fisherman’s occupation is a contest of his own knowledge, skill, and determination against the capricious whims of nature: If he weaves his twine with delicate care and the sum of his expertise, if he sets his nets wisely, perhaps he will find the fish; or perhaps he won’t. Yet for those of us with immediate ties to the Great Lakes region, the fishery stands as a reminder of a golden past, a symbol of what Lorain (or Cleveland, or Detroit) once was and will likely never be again. Today, the greatest threat to the Great Lakes trap netter is not the same macroeconomic revolution that killed the automotive plants and foundries; the greatest threats to the trap netter are misconceptions and forgetfulness. In towns like Lorain, Vermilion, Port Clinton, and dozens of others scattered across the south shore of Lake Erie, yellow perch is a dietary and cultural staple. Every Friday evening, the people of this region flock in droves to American Legions, Catholic churches, and various ethnic clubs to consume plates of the battered and deep-fried perciform with French fries and slaw. 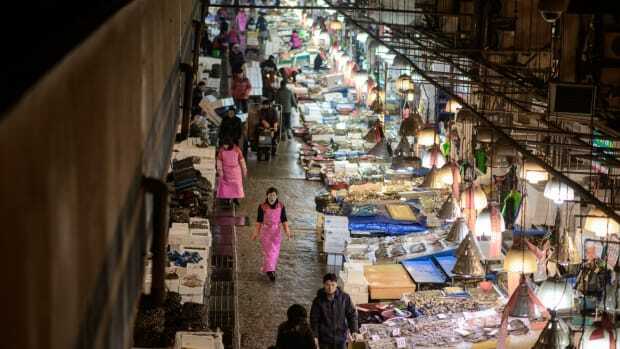 On some level, contemporary locals know that these fish are procured through a fairly large and intensive regional operation. But many don’t realize that fish tugs are docked mere miles from their homes, and often react with surprise when they learn that their fish have been caught with commercial nets, not fishing poles. Those who spend enough time on and around the lake often develop a negative attitude toward the commercial fisher. Many of the fishery’s opponents are sport fishermen (or “hook-and-liners,” as trap netters call them) who see the industry as a threat to their own pastime. Commercial fishermen and sport fishermen have always been at each other’s throats in one way or another: The trap netter sees the hook-and-liner as amateurish, reckless, even destructive; with little understanding of how the trap nets lie beneath the surface, the sport fisherman will often snag them with a trolling lure, either rending the twine or leaving a hazardous hook for trap netters when they retrieve their nets from the water. Further, without the skills of basic seamanship, the sport fisherman will foolishly get his propeller tangled in an anchor line and simply cut it free, creating extra work for the trap netter down the road. Meanwhile, the sport-fisherman sees his commercial counterpart as an avatar of heedless capitalism, whose occupation does real ecological harm to the fish populations and to the lake itself. In fact, the commercial fishery is currently our best path toward deeper ecological knowledge of the Great Lakes. 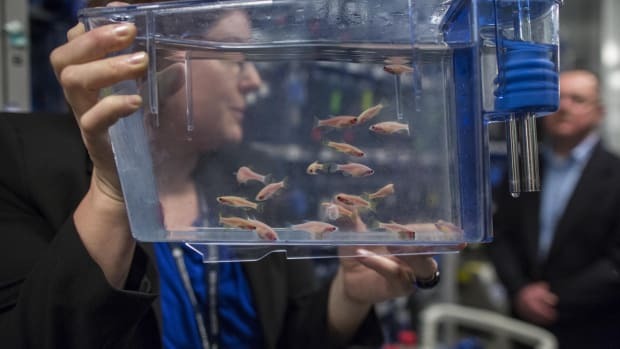 Biologists from the Department of Natural Resources and from local universities rely on commercial fisherman to gather data about fish populations, migration patterns, and yearly hatches. When you lift a net and see the perch roe hanging on the lead like grapes in a vineyard, you realize that that the trap nets have created artificial and protected reefs in which the fish are able to spawn with unprecedented success. The sport-fisherman sees his commercial counterpart as an avatar of heedless capitalism. In fact, the commercial fishery is currently our best path toward deeper ecological knowledge of the Great Lakes. It would be easy to say that the world is simply against the trap netter; that it has selected him as a convenient scapegoat and therefore offers a warped version of his industry to fit popular narratives. But the trap netter is reclusive and secretive, and these qualities do him no favors in the effort to re-fashion his public image; by virtue of his protectionist instincts, the trap netter ends up not being a great advocate for himself or his industry. Yet in the fisherman’s mind, his ability to maintain silence in the face of rampant misconceptions about himself and his trade are essential to his success. He is plagued by constant anxieties that his secrets will become known: the location of his nets, the minute idiosyncrasies of his twine-weaving techniques. Tales of industrial espionage abound. Late at night, like a fox in a hen house, a rival fisherman will sneak into a twine house or drying fields with flashlight and measuring tape, looking for some minuscule facet of net-engineering that allows his rival to catch more perch than he. Competing fishermen have been spotted lurking behind old hulls in the boatyard across the river, training binoculars upon the little green fish house. this way, the trap netters are not only at odds with the ignorant public, but with themselves too. The fisherman views the world through a lattice of twine, and everyone is a potential agent of the competition. The fisherman himself is a bit of a walking anachronism. His trade a refined iteration of a centuries-old practice, and this is reflected in his interests and attitudes. In an automated world, he does things the hard way. He removes his fish from his nets not with a mechanical conveyance but with a long-handled dip net, each of several hundred daily scoops weighing 50 pounds. He weaves his own nets, makes his own anchors, and, sometimes, even builds his own boats — 56 feet of welded steel. If he has any spare time he returns to the lake, hunting ducks in the marshes and harbors over wooden decoys he has carved and painted himself. During my time on the tugs, I learned the ineffably complex and delicate procedures of setting and pulling nets. I learned how to manipulate the massive labyrinth of twine and rope with strategic movements of surgical precision: how to free a tunnel caught on a crib with the jerk of a wrist, how to roll the fish over the spine and into the pot with a firm tug of the twine. But despite the knowledge I accumulated over five seasons of fishing on Lake Erie, I will never be a real trap netter because it was always understood that I was merely passing time. During those years, I earned a bachelor’s and master’s degree, while, by contrast, only about half of the deckhands I worked with had completed high school, and none had had any college whatsoever. One of the reasons I was able to maintain such a great fondness of trap netting, I suspect, is because I knew I didn’t have to do it. It is a platitude among trap netters that you will only survive the season if you love trap netting. I think it likely that being in a corner also helps. But perhaps every young fisherman who works another man’s tug is only passing time. 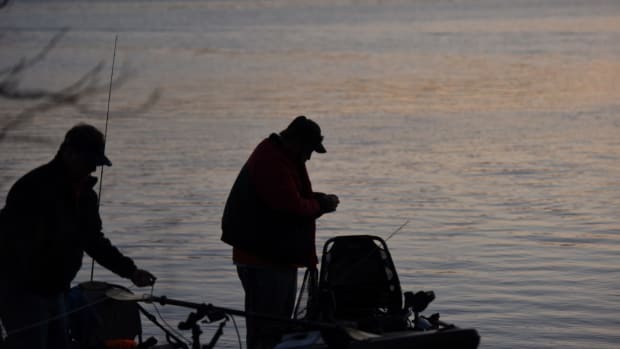 It is nearly impossible to acquire a license from another fisherman, and it is absolutely impossible to purchase a new one from the state — two reasons the commercial fishing industry on Lake Erie feels parlous, to say the least. I asked one trap netter, Mike Johnson (not his real name), how he will transfer his licenses to his sons (each of whom operate one of his tugs) when he retires. Rare among trap netters, Mike had the good foresight to put his licenses in his sons’ names when he initially acquired them. Thus the family business is secure for one more generation. But what about the generation after that? The state has done a poor job of explaining to trap netters the procedures and rules governing the sale or transfer of licenses; on more than one occasion, representatives of the DNR have told Mike that it is illegal to even discuss the sale of licenses with other fishermen. Thus the prospect of a new generation of fishermen entering the profession seems unlikely to him, and many fishermen suspect that the state, in cahoots with the sport fishing industry, is actively trying to eliminate the commercial fishery outright. Regulatory bodies have their reasons for distrusting some commercial fishermen. In 2005, roughly one-third of fishermen operating in the central and western basins were implicated in a poaching scandal that involved an estimated 40 tons of illegally caught fish and prompted the suicide of one fisherman, Rick Meinke. Meinke’s death is even more heart-wrenching when we learn that he was not among those indicted, but was, in fact, the whistle-blower, a meticulous, regulation-abiding fisherman who was led by frustration and resentment to call in an anonymous tip to the DNR. It is nearly impossible to acquire a license from another fisherman, and it is absolutely impossible to purchase a new one from the state — two reasons the commercial fishing industry on Lake Erie feels parlous, to say the least. While poaching should never be condoned, it is not difficult to muster sympathy for the culprits. Trap netters have been forced into a unique situation, in part thanks to the quota system imposed in 1996 (which determines how many pounds of fish each individual outfit is allowed to harvest each year) and exacerbated by Canada’s more-lax regulations. The American fisherman on Lake Erie is competing not only with his compatriots, but with the Canadian fleet as well. The Canadian fishery’s lack of regulations is astounding, and gives the Ontario fisherman several significant advantages over his Ohio counterparts. Not only is gill netting still permitted in Canadian waters, but Canadians do not have a minimum size requirement for yellow perch, while Ohio trap netters cannot keep fish smaller than 8.5 pounds. Since it takes a perch approximately three years to reach this size, Canadians fishermen have a two-year head start on each perch hatch, leaving American fishermen to fight over the scraps. The sorest subject for Ohio trap netters is that Canadian commercial fisherman can still legally harvest walleye. 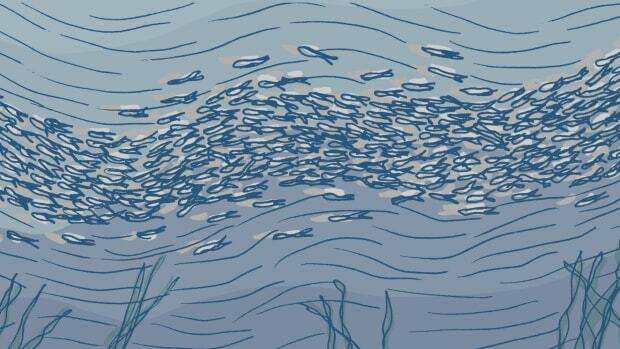 When the walleye spawn in early spring, this regulatory inequality is keenly felt by the American trap netter, when he lifts his net to see half a dozen 30-inch walleye in his pot, each body an elongated mass of silver muscle thrashing wildly among the hundreds of perch upon which it has been gorging itself. When he drops the creature back into the lake, he sees it swim off to the north, bound for the Canadian trap nets, gill nets, or trawls — only to be sold back across the border to Ohio fish markets. And that, perhaps, is the emotional condition in which the modern trap netter is bound: nostalgia tinged with resentment. When Rick Meinke drove his truck over the hard-packed gravel roads and out onto the dyke, I think he was seeking the solace of mornings spent duck shooting with his labrador, the feeling and smell of a north wind moving over the lake, the crescendo of sound it makes as it moves through the frozen reeds. But I also like to think that, on a deeper level, way down in his waterman’s soul, he sought a familiar piece of the world yet unadulterated by man and his mundane laws. The lake can be the most nostalgic place on Earth; the February winds whipping the waters recall the Biblical Beginning, when the divine breath moved upon the surface of the liquid abyss. Nostalgia brings a man here, but resentment keeps him.